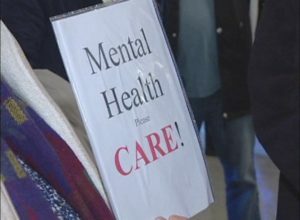 Stigma Enigma organizers announced $127,185 was raised from the Margaret Trudeau event, allowing Maryvale to hire two full-time therapists. The annual event, headed by local Family Physician Patrick Smith, brings in a high profile guest speaker yearly, in order to raise awareness about mental health issues. It also brings a familiar face to the subject helping to eliminate the stigma to talk about mental health and encouraging individuals to reach out for help in times of distress. Last year’s event in November featured guest speaker Margaret Trudeau, who has faced challenges throughout her life dealing with Bipolar Disorder. She spoke to a sold out crowd of over 800 at the Caboto Club and her story was relatable, engaging, at times comical and extremely personal. “The influx of this enormous donation has allowed us to hire two full-time therapists to significantly increase the number of teens seen who are currently waiting for counselling-which is a high demand area,” said Connie Martin, Executive Director of Maryvale in a news release. Martin says in excess of 100 teens that are currently in great distress will now be able to be counselled quickly. “These teens may otherwise have had to wait extended periods of time for counselling or fallen through the cracks,” says Martin. Stigma Enigma has also announced the date for their 2017 event – Saturday, Nov. 11 at the Caboto Club of Windsor. This year’s guest speaker will be four-time Olympian Silken Laumann.